Well it was when I took this photo. It's my least favourite day; only because it means getting out of my warm bed after 2 days of sleeping in. 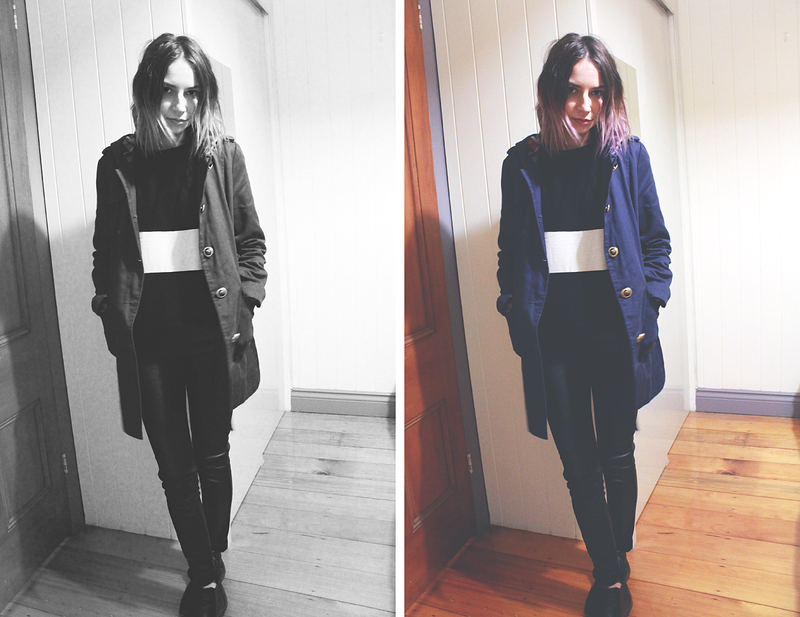 Fortunately I've perfected the art of layering and no longer freeze my bum off during these cooler months. You may notice my coat from a DIY post last year (see it here). I bought it when I went to Europe and it's been a staple in my closet this winter to throw on top for extra warmth since I'm a public transport gal and am out in the cool night air.